How did I come to this life ... Looking back into 1997. 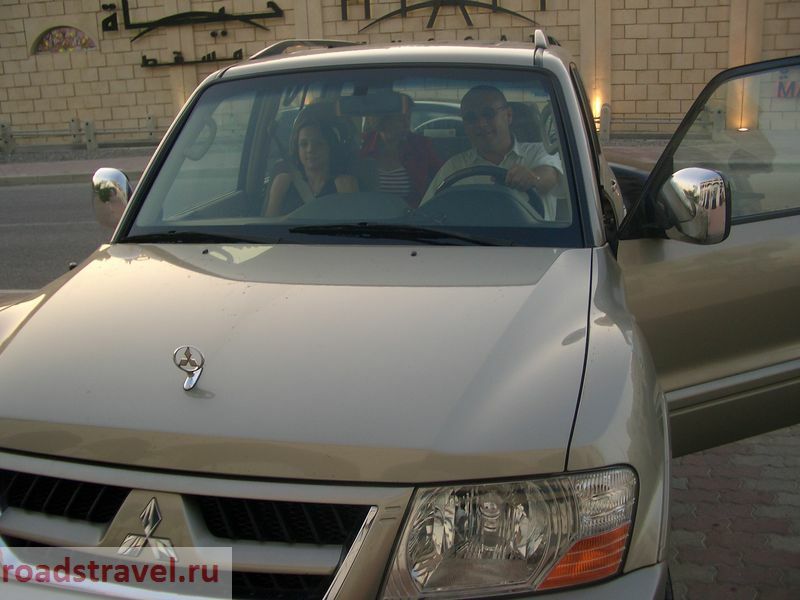 | Twenty years with MITSUBISHI PAJERO. In early 1997, we had gotten a car on which we could drive almost anywhere – MMC Pajero 1997 Model, 3.0L GL. 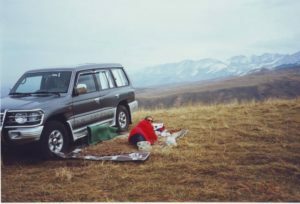 It could had been used for a big group of people for a Sunday picnic – nine seats, including a driver, made it easy to do so, as well as could allow to travel off autonomously for several days, taking a tent, a bunch of different things and foods – an unusually large interior size contained everything that only our soul desired. 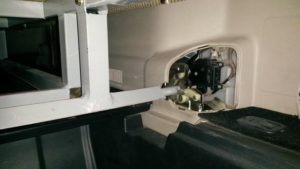 The sturdy suspension – leaf springs from the rear and torsion bars at the front – made the car virtually indifferent to what was under the wheels. The mechanical gearbox and the ease of basic equipment gave a solid reserve of power with a ridiculously humoring, for such dimensions, fuel consumption. 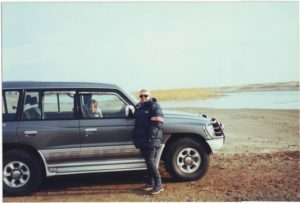 On this car we did a lot for the first time: we went to Issyk-Kul, after a trip on the south side, spent several nights in the upper reaches of the Chon-Kemin River, admired the alpine meadows above the Great Alma-Ata Lake, conquered the sands in the Kapchagai reservoir area. The summer of 1997. We decide on the first car trip abroad. 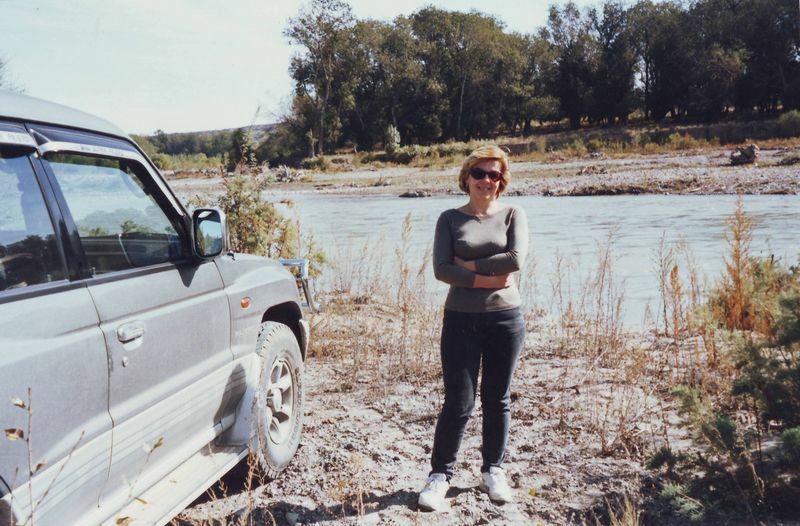 Although, what border between Kazakhstan and Kyrgyzstan was at that time … We drove through the Kurdai Pass, the border was crossed over the village of Georgievka on the Black River. Now it is called, respectively, the village of Kordai and Karasu. 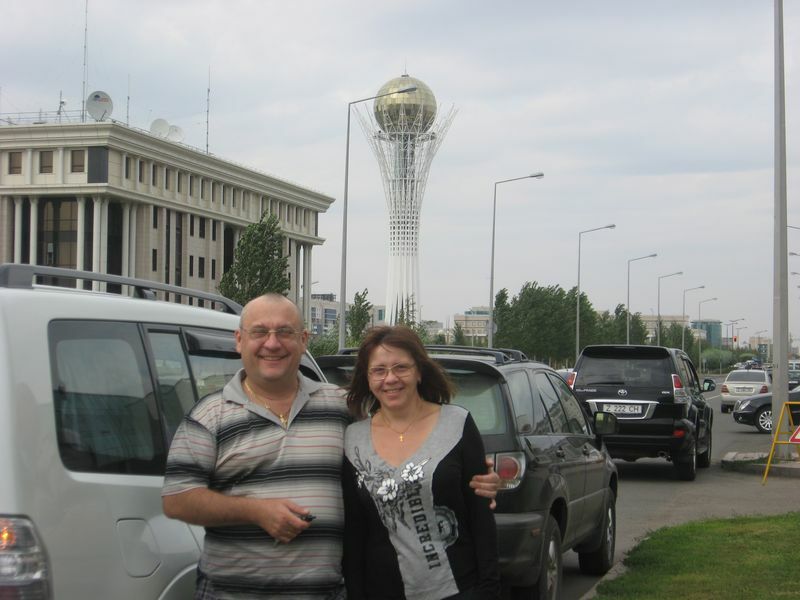 From Kazakhstan in general, there were no hints to any checkpoints. As we crossed the bridge – there was a trailer, before it there was a STOP sign, we law-abidingly stopped. No one came out of the trailer, and we just drove on. For two years we still passed this place two or three times, now without stopping. The other cars we saw did the same. My wife and I, son of 14 years, daughter of 7 years – that’s the whole composition of the expedition. Yes, we also take our dog of unknown breed, nicknamed Yukon, big and black similar to the Belgian Shepherd – Groenendael. 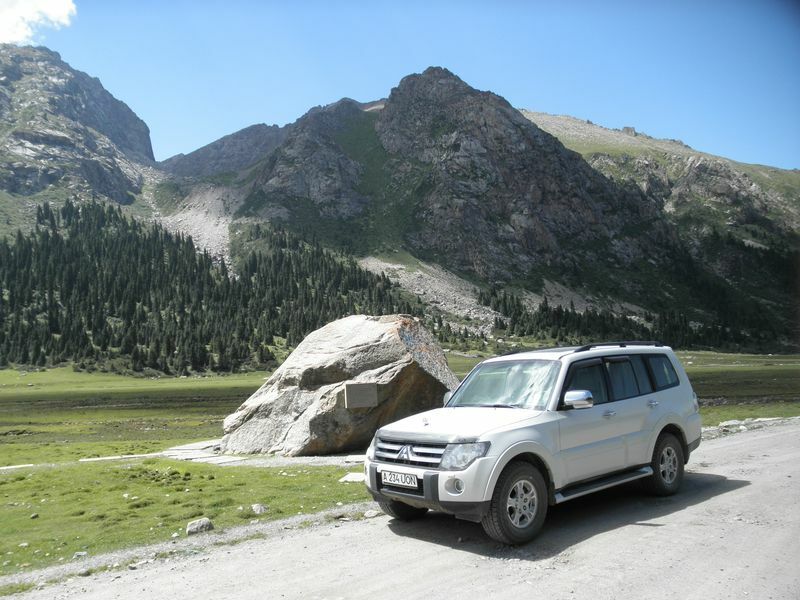 Our first trip to the mountains of Kyrgyzstan was the route along the Chon-Kemin River. 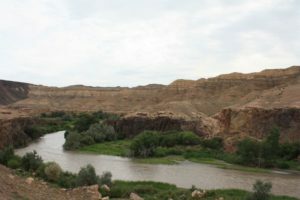 This river, flowing through the territory of Kyrgyzstan, runs from east to west between the ranges of the Zailiysky Alatau and Kungey-Alatau, flowing into the Chu River. The place of confluence of rivers is familiar to those who traveled to Issyk-Kul on the part of Rybachiy (Balykchi). After passing Chuy valley, in front of the entrance to the Boom gorge, there is a turn to the left. From the beginning the road goes to a close gorge, then it swings open, reaching a maximum width near the village Tehgirmenti. Further the gorge again gradually narrows, the road goes along the bank of Chon-Kemin. The river is fast, for these surroundings it is quite full, with a milky cloudy water of a bluish shade. Permanent housing is already scarce, mostly there are yurts of shepherds who are wandering here for summer time. Asphalt on the road ended with the settlements, approximately 30 to 40 kilometers from the turn. Further on, still about the same, the state of the road gradually deteriorated, at times reaching full off-road. Having found a convenient place in a small gorge by the stream, we broke our first camp of car mountain tourists. The photos of this trip, alas, have not been saved, however a small video from this place of camp, shot a few years later, will be presented below. The next long-distance route was a trip to Issyk-Kul in the same year. 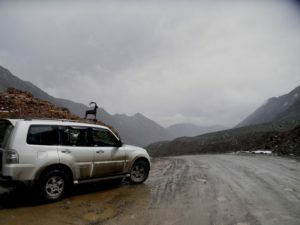 From Alma-Ata to the southern shore of the lake, Tamga settlement, we traveled 515 kilometers along the Kurdai Pass and, on the way back, through the Kegen pass, we passed another 460 kilometers. Of course, the path was not completed in one day, but this route, almost a thousand kilometers long, became the answer to many questions for us. 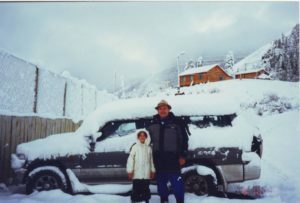 It was the first time we travelled by car to another country. 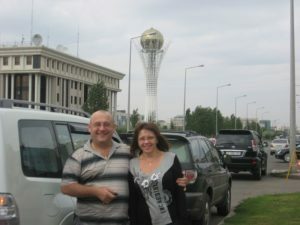 Of course, there were practically no borders between Kazakhstan and Kyrgyzstan at that time, but there were some concerns – it was still another country, and times then were different. 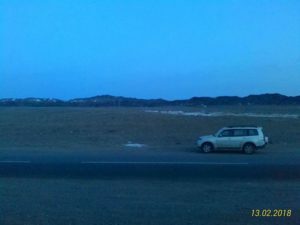 From Tamga we returned home along the eastern side of Issyk-Kul, got a little lost around the Przhevalsk area (Karakol), drove the Santash pass, then Karkara, Kegen, Chilik and home. After the Kegensky pass, without turning left, we almost left for Chungju, but got back to our senses on time. No navigators were even close to be available back then, we were guided by road signs, and unfortunately they were not always and not everywhere. Now, watching the video of this trip, I catch myself thinking that the site from Alma-Ata to Kurdai is already a history, unique frames of the old road. And surely to go across the border without stopping hardly anyone will manage to now. 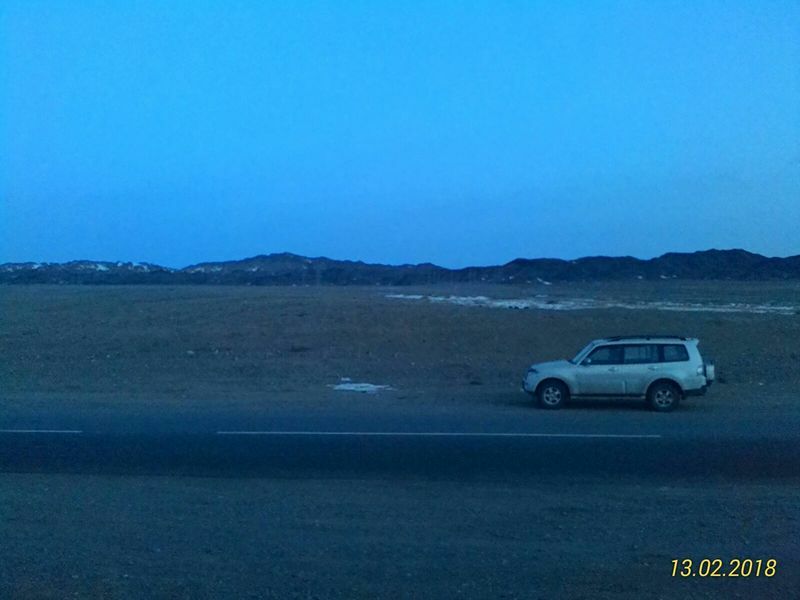 The road to Issyk-Kul. Year 1997. It was 1998, we began to travel “out in the nature” more often and further. These were, basically, trips to the mountains for two to three days, as a rule. 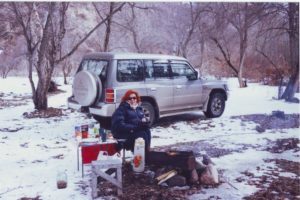 My wife and I were often go together, would not take a tent, spent the night in the car. It was very comfortable to sleep, in our new car it was possible to arrange the seats of the middle and back rows, to lay on top, for leveling, a usual mattress and get a full bed. 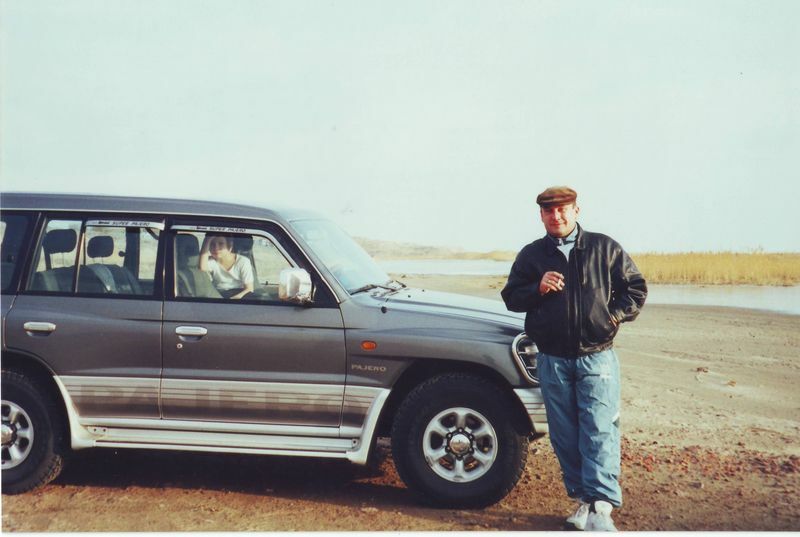 In general, I must say that this car, MMC Pajero 3.0L GLX 1998 Model, was the most comfortable vehicle for sleeping. Starting from year 2000, the layout of the salon has changed, for sleep in the car we began to use the front and middle rows of seats. However, because of the refrigerator located between the front seats, there was no empty space left. With such a “house on wheels”, vacation on the shore of a mountain stream became very comfortable. Pulling the tent or film, installing a gas stove under it (the cylinder size was not limited) and having covered the ground with a mat we got an arbor with all conveniences. Well, almost with all. 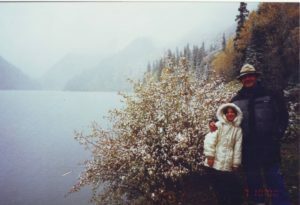 And this photo was taken on October 8 of the same year, on Lake Kulsai. This is a photo from October 14, only six days later, and where is the snow? 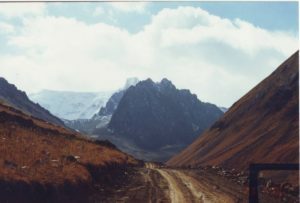 Mountains west of Alma-Ata, Ushkunur. At that time, you could still drive to this place …. On the next two photos, well, it’s almost summer, and it’s still the same October! Here, at last, is a normal picture, where early spring is a normal early spring. 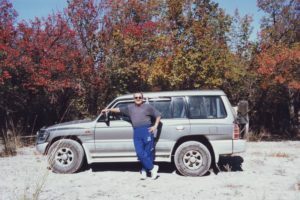 Still, the main period for our trips was summer, at the beginning of which, in 1999, having gathered a big group of people and begun “riding” three cars, we went to Kulsai Lake. The distance from Alma-Ata is small, about 300 kilometers, but there is so much to see. 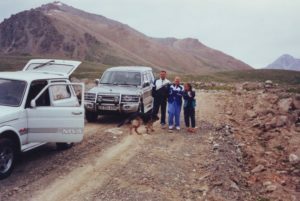 Not only the lake itself (and there are three of them, but only the lowest one can be reached by car), but acquaintance with nature on the Charyn and Chilik rivers can be the reason for individual trips on its own. 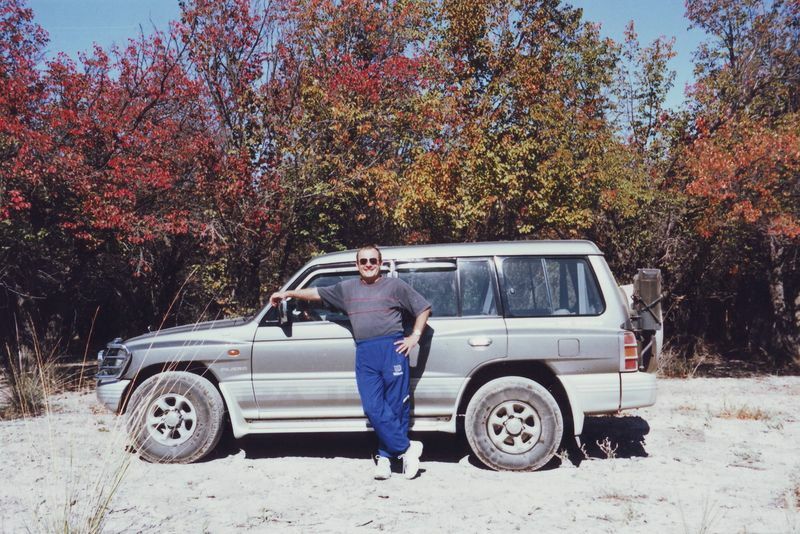 This trip happened at a time when the state of the Kuldzhinsky tract (the road from Alma-Ata to the east, through the city of Chilik to the Chunj settlement) approached the critical point beyond which the off-road began. Broken, pits all around, asphalt began almost immediately outside the city’s borders and remained so almost to Chilik. Then the road improved somewhat, but the asphalt puffing and pits reminding craters from the explosions that filled the road across the Syugatinskaya valley completely negated this temporary improvement. 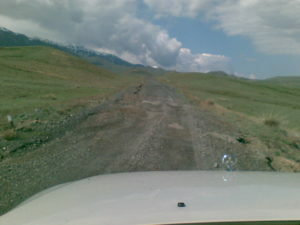 From the settlement of Zhalanash, the road has preserved small parts of asphalt, but it would be better not to have them at all – deep holes with sharp edges greatly complicated the movement. Fortunately, these pieces quickly ended. You can come endlessly to here, to this lake – you can never get bored of admiring it. Kulsai is many-sided and beautiful, every season finds his best colors for this lake. Deep, up to 50 meters, with clear water and surrounded by a dense coniferous forest, these lakes are rightfully considered “the pearl of the Northern Tien Shan.” Only thirty kilometers through the range of Kungey-Alatau to Issyk-Kul and a tourist hiking route through Kulsai lakes to Issyk-Kul was very popular at the time not only among Kazakhstanis. Unfortunately, this route was closed with the appearance of a border with Kyrgyzstan. In the same year we again went to Chon-Kemin. It was already the second trip and again, like two years ago, we drove into the gorge from below, from the Chu River, and moved upstream as far as possible. The route map has been provided above, but we managed to go only so far. There were two reasons. 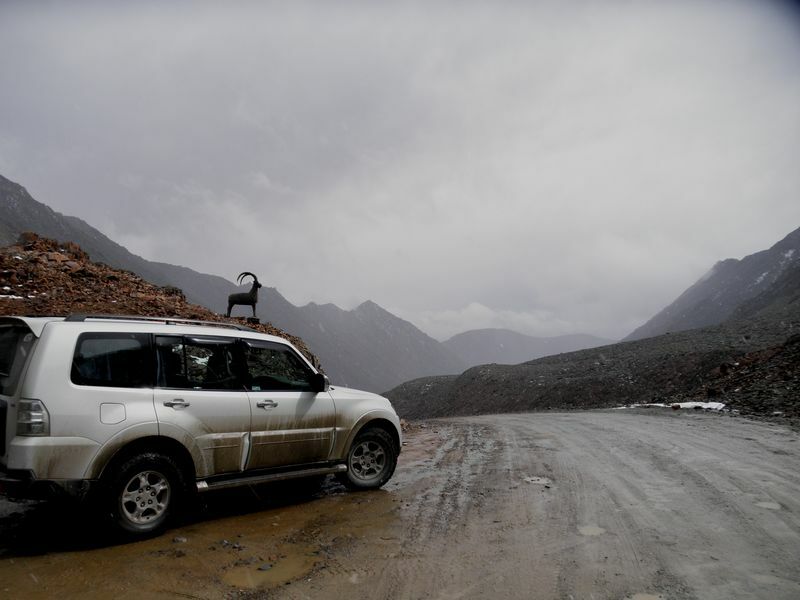 The first – having a light vehicle as part of our expedition composition, we did not expect it to overcome fords and stony sections of the road. We decided like so – we will go right up until we could drag that car without, so to say, self-mutilation. But we did not reach such sites for a second reason. I do not even know how to properly name it – whether nature protection, or privatization of it. Two years ago, in 1997, climbing up the gorge, we did not encounter any obstacles in the form of barriers. Now there were two of them. And if the first one we managed to pass through in one way or another, then all attempts to pass the second barrier were stopped by a brief explanation of the guard: “Not allowed. There, at the top, the authorities are resting.” Was it the authorities of this national park that emerged here during the last year, or what other authorities – this remains unclear, but the difference is not significant. We simply were not allowed further. Returning a little back, we moved across the bridge to the other side of the river, found a suitable place and spent several days there, combining the immobile resting with active rest in the form of walks and fishing. 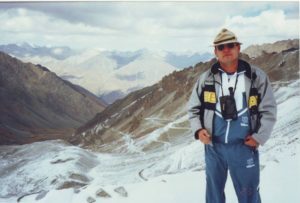 The last two chapters of this story will be about a trip on the road through the Zailiysky Alatau Ridge. As already mentioned, the geographical proximity of Alma-Ata and Issyk-Kul does not mean “road” proximity. The direct distance and the distance on the road differ by four times. Since the income from Issyk-Kul visits is significant enough for Kyrgyzstan, it initiated building the road. Starting from the coast of the lake between the villages of Ornek and Chon-Sary-Oy, the path ran through the Kungei-Alatau range along the Kok-Airik pass (3889 meters), descended into the Chon-Kemin river valley, went upstream of this river and went to the Ozerny pass . Here, at a height of three and a half kilometers, there is a border between Kazakhstan and Kyrgyzstan. 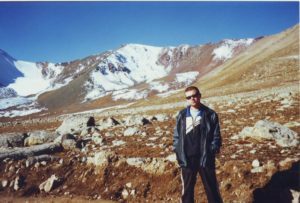 From the north, from the side of Alma-Ata, the road to the pass has been laid for a very long time, but you can only go there by a four-wheel drive. There can be no talk of any tourist buses. And it was decided to adapt this road to tourist highway. 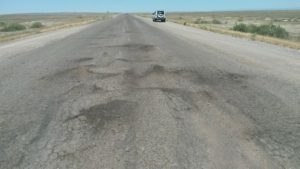 As far as I know, no one has constructed the road from Alma-Ata – it was absolutely unnecessary to Kazakhstan. The Kyrgyz side, on the contrary, approached this issue very seriously and for several years not only pierced the way to pass Ozerniy from the south, but also, as far as I know, cleared the road from this pass to the north, almost to the Great Alma-Ata Lake. A solid bridge was built across Chon-Kemin, transitions were made through streams, the road was cut along very steep slopes – the costs, based on all of that, were not small. The Kyrgyz authorities gave great importance to this road. 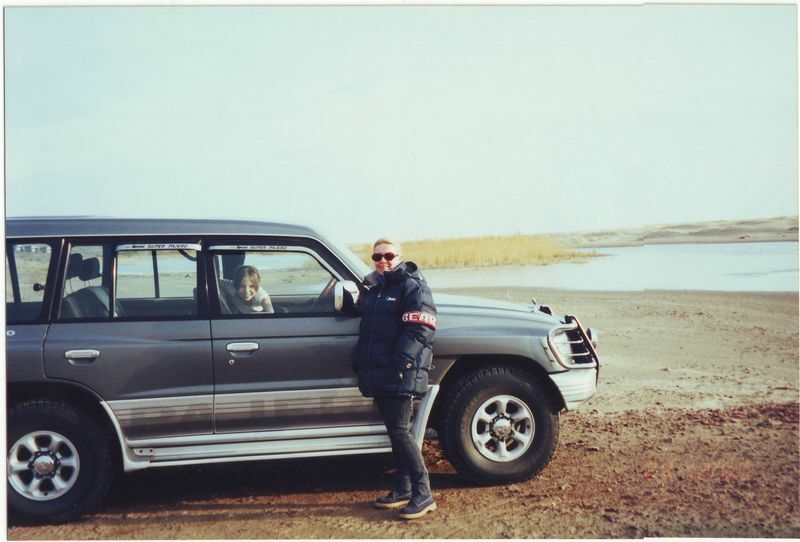 In the fall of 2000, even an official opening took place, an auto race was made from Alma-Ata to Issyk-Kul. But it was SUVs and sports motorcycles – where here is public transport. About a week later we took this route to the Kok-Airik pass. It happened, one might say, by accident. We decided with my son to get by car to the Great Alma-Ata Lake, leave it there and walk to the Ozerny pass. And so, we did. As we passed a couple of miles behind the lake and crossed the river – there was a car coming from below. The husband and wife, about my age, around forty, were going to see the road and the mountains. That was a true meaning of matching souls – we continued further together. And we reached the Kok-Airik pass (and, of course, back). About how it all turned out – a small video. The road to Kok-Airik. Year 2000. 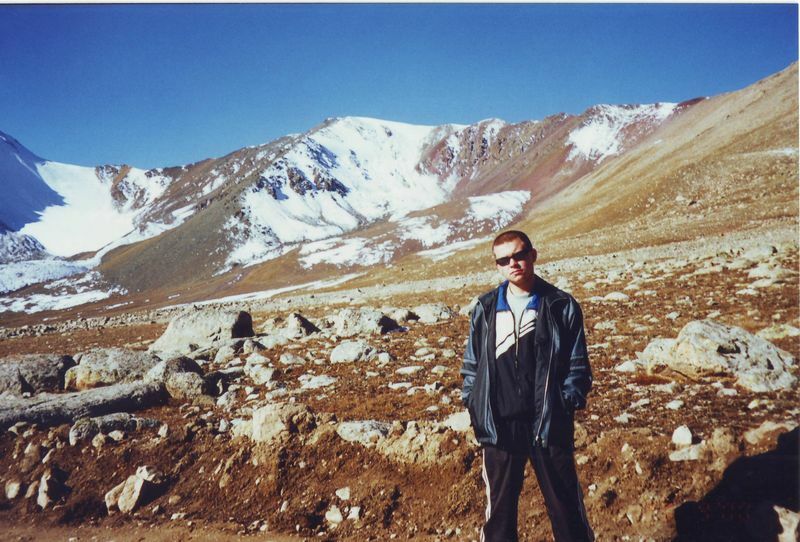 The height of the pass is 3890 meters. Ozerny Pass. The height of 3503 meters. The road from the Chon-Kemin River to the Kok-Airik Pass. Pass Kok-Airik. You can see the road to the pass. 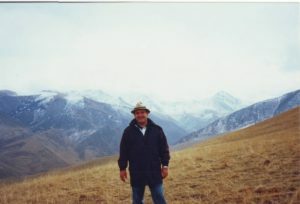 Further, lit by the sun, the mountains of the Trans-Ili Alatau. 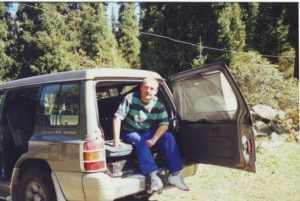 My acquaintance with the Chon-Kemin River took place in 1987, when we went to the Issyk-Kul Lake through the Ozerny and Aksu passes. Tourist hikes from the Kazakh SSR through the mountains to the Kirghiz SSR were very popular not only for the residents of Alma-Ata. I met tourists from Krasnoyarsk and Moscow, the GDR and Czechoslovakia. Then, with a different composition of the participants, I visited several times this place again, even brought my son when he was 6 years old. It was possible to look at the lake Jasyl-Kel, from which, in fact, begins Chon-Kemin. It begins very unusual – it does not flow from above, but is filtered under a stone blockage, a natural dam of the lake. After such a filter, the cleanest water of the river flows a couple of kilometers down and becomes milky-bluish after meeting with the turbid stream of the Aksu River. The year 2001 has come. My son grew up, my daughter grew a little more as well, and we decided to visit these places by car, to close, sort of speak, the Chon-Kemin ring from top to bottom – to drive from Alma-Ata through the Ozerny pass and descend along Chon-Kemin to the Chu River. 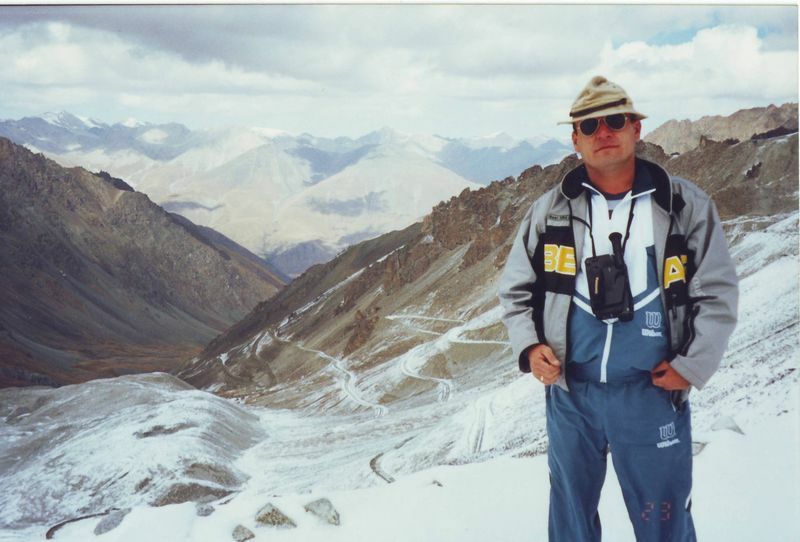 In 1997 and 1999, we came from below, from Kyrgyzstan, and now, again after two years – a counter route. Unfortunately, there were only a few photo and video materials, somehow we did not think about it at that time, we thought that we could come or drive here again and again. But life had its own way, borders between independent states were raised and all the mountain paths and roads were closed. 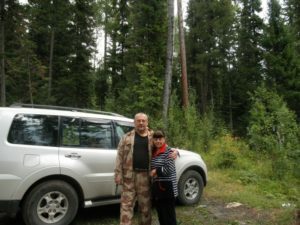 Just two years ago we crossed the bridge on the Black River without stopping, and now, on our return home, we had a serious conversation with the armed Kazakh border guards. By requiring our passports, they could not understand for a long time how we enter Kazakhstan without having left it properly. Surely, we did not have any passports, since “… these are our mountains …”. Now you look at the photo from the Ozerny pass and you regret about the past times. However, all and all, our trip was successful and a small video can only further compliment what was said. To Chon-Kemin through the pass Ozerny. On this the story about the trips can be completed. The quantity began to turn into quality – we began to think about long-distance trips, we wanted to go into Autotravel. About how it happened – the following stories. P.S. The quality of photos and videos is explained by the devices existing at that time. The photos were made on film and have just been scanned, the video has been digitized. Addition. The height of the Ozerny pass is 3503 meters. The height of the Kok-Airik pass is 3890 meters. Курдайский перевал – знакомое место, сколько я по нему поездил. Да были времена… Ни границ, ни пограничников, сейчас даже к БАО не спустишься. Ходили пару раз пешком на Иссык-куль в 2003 и 2004, незабываемые впечатления, 3-5 дней пеший маршрут, переправлялись через Кемин на лошадях выше старого снесенного моста, течение там капитальное, лошади с трудом перебирались. 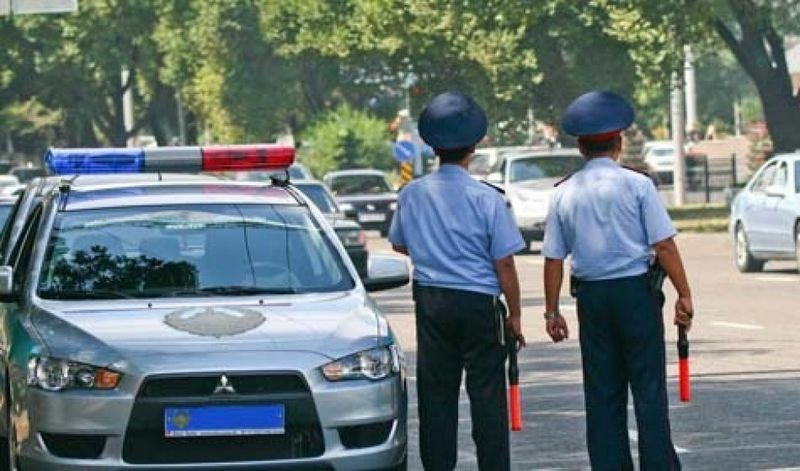 На машине и мотоциклах видели ребят на Киргизской стороне, смотрели на них как на инопланетян, переправиться там нереально казалось. Но тогда на Кок Айрык дорога сильно обвалилась уже, проехать на машине без бульдозера почти не возможно было. Если я правильно понял, – напрямую через горы из Алма-Аты до Иссык-куля теперь не проехать??? 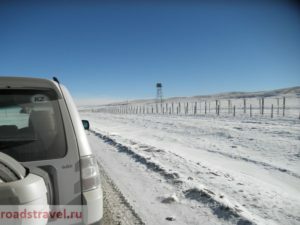 Решение о переводе пунктов пропуска «Кен-Булун Автодорожный» и «Токмок Автодорожный» с двухстороннего на международный принято ещё в прошлом году, посмотрите рассказ http://roadstravel.ru/тянь-шань-киргизия-перевалы/ там в конце об этом говорится и есть ссылка. Благодарю за помощь, скачать карты не могу, ресурс недоступен, глушат видимо, т.е карты показывет, скачать не дает. Ориентировочно 10 апреля пересекаю границу Казахстана, заправляюсь дешевым бензином и вперед. По Киргизии пока не определился, как правило так езжу почти всегда, важно направление, а там посмотрим, в этом тоже что-то есть, по части Ваших маршрутов проеду часть обязательно, без пропуска в погранзону никак, буду получать, в горах в это время прохладно однозначно будем ездить туда-обратно. Хотелось бы посмотреть конечно очень много не знаю как уложимся. Удачи на дорогах. По поводу карт отправил письмо на эл. почту, указанную при регистрации. Previous Previous post: The first time on the roads of Russia. 2001 year. Next Next post: Winter road to the lake Kolsay. 2018.